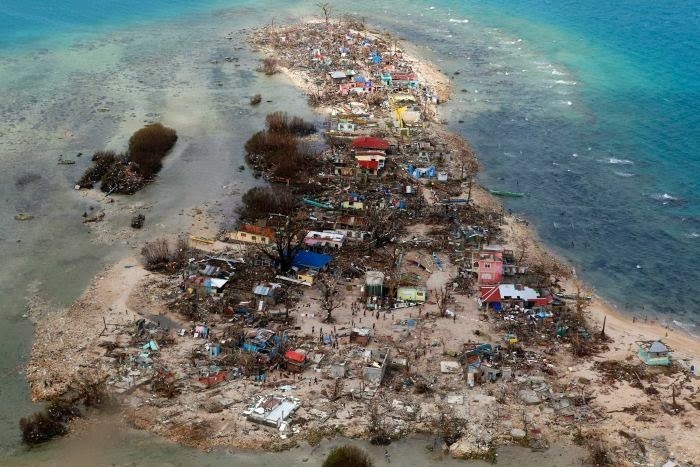 If you've been paying attention to the news, you have probably heard about Typhoon Haiyan and the devastation it has wrecked in the Philippines. In case you didn't know, I am half Filipino and my mom's part of the family is located over there. We're grateful that our family is safely located in Baguio, so they escaped the majority of the damage wrought by the typhoon. However, my heart still hurts for the many lives that were torn apart because of this disaster. 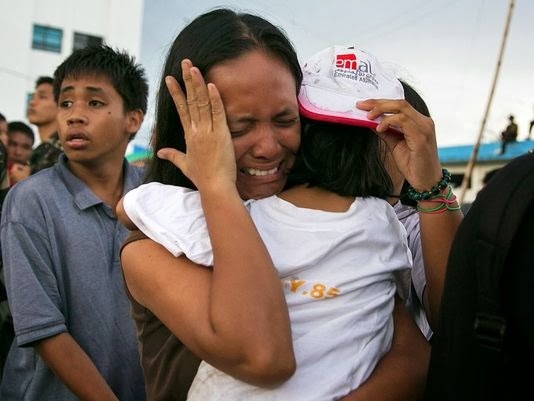 Tacloban is all but destroyed, and reading the articles about the destruction brings tears to my eyes. A recent publication by CNN included some quotes by survivors, and they hit me hard to read such pleas and cries of sorrow. 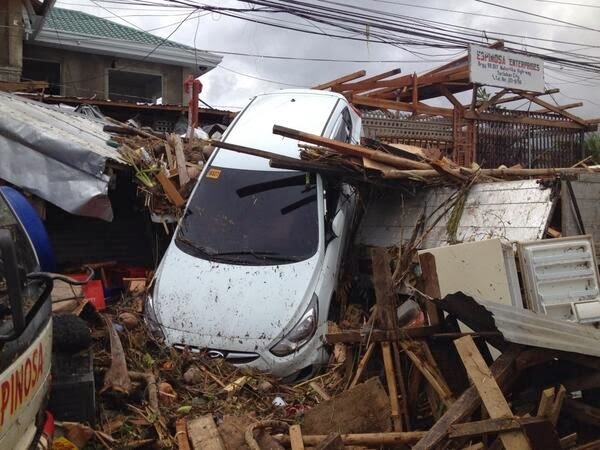 "Our house got demolished," one woman told CNN affiliate ABS-CBN. "My father died after being hit by falling wooden debris. We are calling for your help. If possible, please bring us food. We don't have anything to eat." A man begged for forgiveness because he couldn't save his daughter from the typhoon's wrath. "We all got separated from each other when the strong waves hit," he told ABS-CBN. "We got separated. I couldn't even hold on to my child." "Everything, everything's gone...we need help." The Philippine Red Cross is accepting donations and coordinating disaster relief on the ground throughout much of the central Philippines. The organization is posting updates on Facebook and Twitter. The World Food Program, which provides emergency food aid to families and children, is accepting donations online and through PayPal. 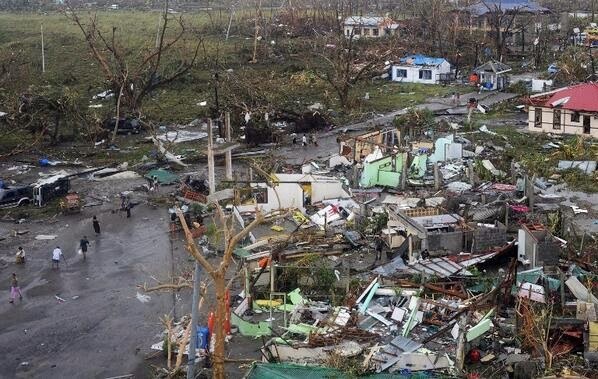 The Philippine branch of Unicef, the United Nations Children’s Fund, says that children affected by the typhoon need urgent access to drinkable water, medical supplies, food and shelter. It is accepting donations online as part of an emergency typhoon appeal. 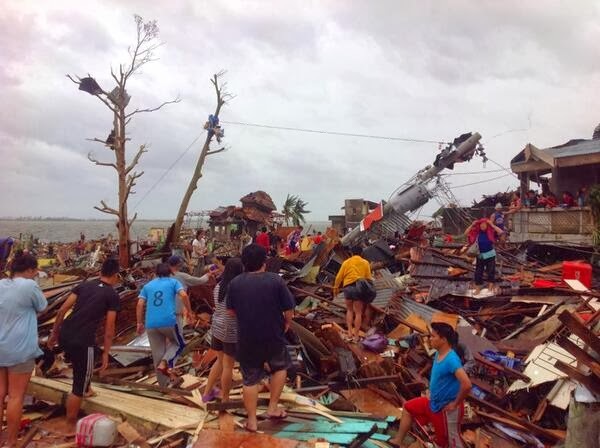 Catholic Relief Services has dispatched a team to the area affected by the storm, but said travel to the most hard-hit cities and towns was “extremely slow” because of damaged infrastructure and debris-clogged roads. It is accepting donations online. The Philippine branch of Caritas, a Catholic charity, is accepting donations online and via wire transfers. It is posting updates on Twitter. The Philippine Department of Social Welfare and Development is seeking volunteers and accepting donations to respond to the typhoon’s destruction. Donations are accepted online. It is also posting updates about relief efforts to Twitter. Gawad Kalinga, a Philippine nonprofit dedicated to fighting poverty, is accepting monetary donations as well as nonperishable goods such as children’s vitamins, rice, kitchen utensils and blankets. The group is accepting donations via credit card through its “give now” page. It is also posting updates on Facebook and Twitter. Anything would help, and all I ask that you take some time to at least take a look at these organizations, and if you feel moved to donate, please do. Thanks so much for this list - I hope it will get many other people to donate something, too! This is so heartbreaking :( At least your family is safe. I can't even imagine how people cope and stay strong in these situations. My preys for you, your family and Philippines. I remember your pictures of your trip and your family. I hope everything gets better. Oh man, I am so happy that your family over there is safe, I thought of you as soon as I heard about the devastation of the storm. The stories coming out are awful but thanks for providing the links, the Red Cross is an amazing group and they're usually on the ground really fast. I'm happy to hear all of your loved ones are safe! Glad your family is safe, but I will pray for the people who were affected. i'm glad your family is ok Linda. this is beyond horrendous. everyone needs to donate. they need so much help. my heart aches for them. thanks for this post. One of my friends families was severely impacted by this disaster. You have such a beautiful heart. These people have been at the front of my thoughts as well the last couple days but you took your thoughts and used this well-seen platform to make a difference. Proud of you! beautiful post! we are busy raising money here in new zealand too! 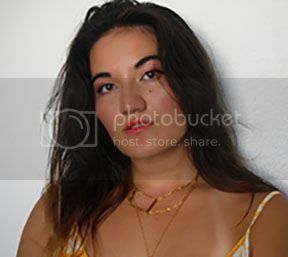 it shows how genuine and sweet you are by doing this lovely post! I have also seen it all from the news and it's unreal. I can't imagine how these people will go on with their lives but I hope they will be able to do it and be there for each other. gosh and I'm sincerely happy that your loved ones are okay (well, as much as they can be, being in such horrible situation). I wish you and your family there all the best and lots of strength! take care, dear Linda. This gave me chills. The devastation is undeniable, and it is so hard to just sit and look at pictures, I can't imagine how horrid is must be to be there and watch. Thank you for making us aware of all the many ways to donate! hopefully things get better soon! Such a horrible tragedy :( I really appreciate you alerting us to ways we can help! And I'm so happy to hear that your family is safe! Beautiful post Linda, such a tragedy. My family is safe in Manila too. This is a great post Linda, truly. Hopefully a tragedy of this magnitude doesn't happen again. Glad to hear your family is safe Linda. This is devastating, I tear up every time I watch it on the news. The people are so helpless, I wish there were something more we could do than just donate. I hope there needs are all catered to and soon. Thank you for this list! A lot of people want to help but aren't quite sure how when the needy are across the world -- thank you. I'll pass this on to my facebook friends and get the word out that we can help with a few simple clicks. Thank you so much for posting this awareness to others, i hope the affected areas will be able to get back on their feet, it just saddened me that the relief goods is very slow in making on their way. 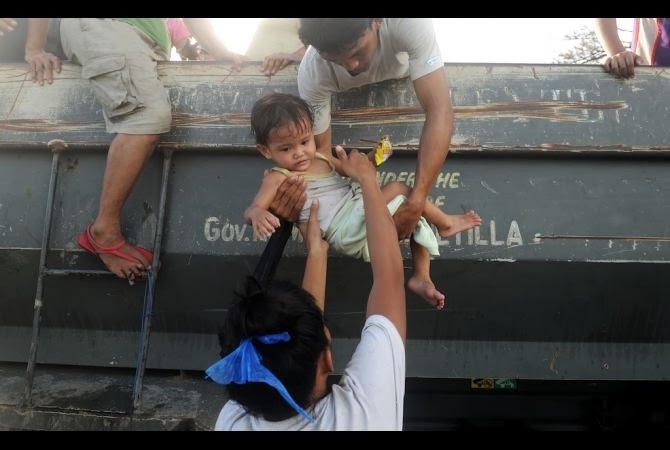 The surviving people their are starving, i hope the government official could give them the basic of survival like the "relief goods". 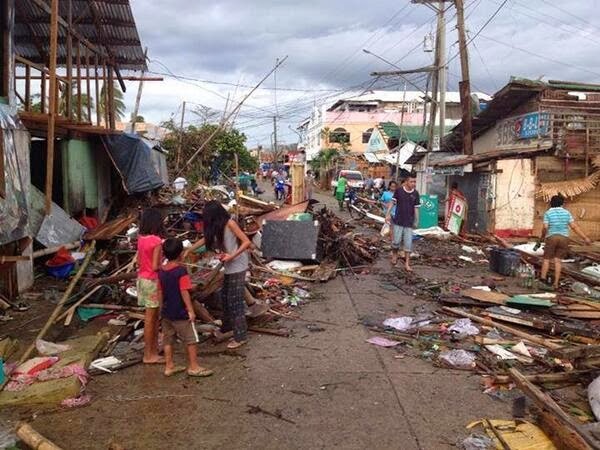 thanks for sharing this awareness :) i hope all the best for the victims of typhoon yolanda! I didn't know you are half Filipino. So glad to hear that your mum's family is safe and sound. Singapore is much closer to the Philippines and so it feels closer to heart. I was about to donate some clothes to a a group of volunteers with one of them owning a shipping firm and always into volunteering to deliver supplies to disaster-hit zones but they stopped accepting clothes and blankets due to overwhelming response. I think I would donate to Red Cross. It is ubiquitous everywhere on FB and I think that's a sign. Awww this is a great post! Thank you for sharing!